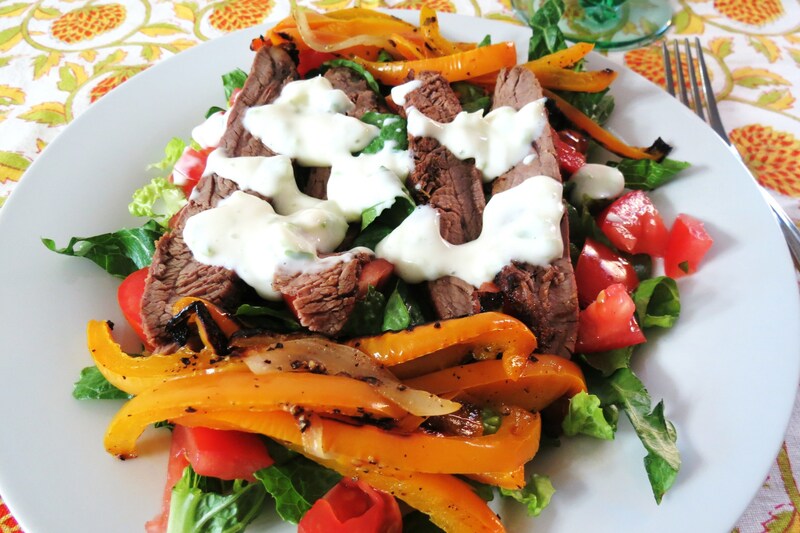 Today I’m going to share with you a juicy, tender, mouth-watering, yummy flank steak and my secret to grilling veggies on the grill! Now grilling veggies on a grill my style may not be a secret, but I find it a very convenient. Best part is no mess, no dishes and the flavor of the food is fantastic! It has that smoky barbecue taste to it! I used a gas grill, but it’s really good on a charcoal grill!! Something about the flavor of charcoal over gas is so much better!!! To make my veggies on the grill, all I do is make my own packet with aluminium foil. 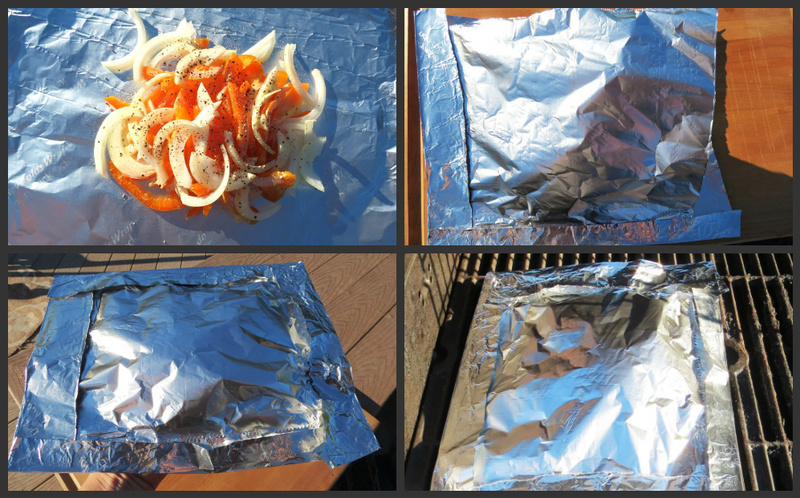 To make the packet, I rip of two squares of aluminum foil, one a little bigger than the other, than I add my vegetables, spray with some butter and seasonings, place the other foil over the top, seal the packet and throw on the grill. Easy Peasy!! Just be sure to give a shake once in a while so the vegetables aren’t in the same place and be careful that you don’t burn it. They cook pretty fast. I grill it on low heat. Now for dinner I had all intentions of making steak fajitas, but it was getting late, and I didn’t feel like going to the store to get tortilla shells. 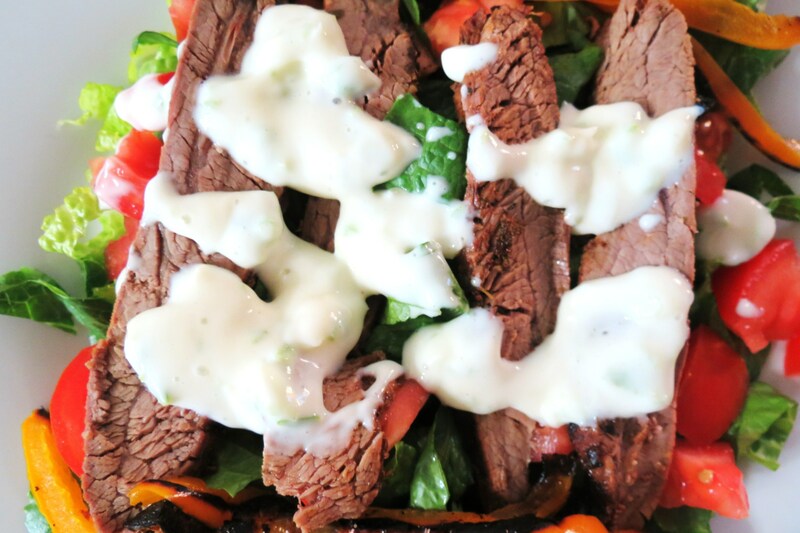 So I decided to make a steak fajita salad, topped with my Jalapeno Dressing! This was the first time I ever cooked flank steak and I was surprised on how tender it was. It wasn’t chewy at all, which I was worried about. I just hate chewy steak! Blah!!! I made a wonderful marinade; made with soy sauce, ancho chili, oregano, lime juice, sugar and a few other ingredients. I marinated my steak for about 4 hours. The flavor is hard to describe, but it was so good! It tasted like restaurant style steak fajitas. My Husband really liked it and that’s a plus in my book!! We had it for leftovers the next night and it still tasted as good as the first day!!! Perfect steak for fajitas!!! I was happy to find out that flank steak is about 190 calories for 4 oz which is nice. Normally the steaks I like are closer to 300 calories for 4 oz! Darn that New York Strip Steak!!! Why do your calories have to be so high? Do you like steak? What is your favorite kind? Personally I love Filet Mignon! So tender and so good, but a little pricey, so it’s a treat meal!! 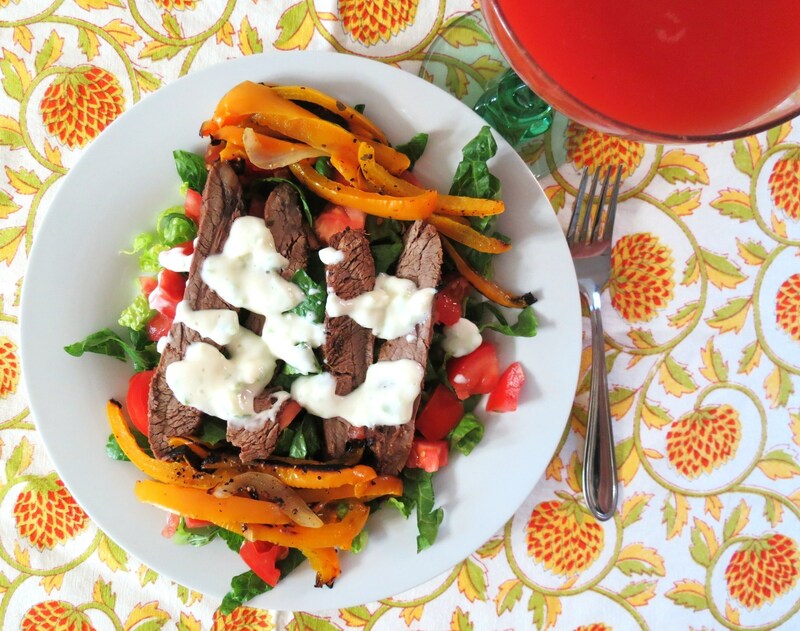 I am looking forward to picking up another flank steak so I can make this again! I bought my steak from Trader Joe’s! I like TJ’s meat, because most of it is grass feed and/or organic meat. The grocery stores at my house have the worse meat! It’s ugly and smelly! Costco’s meat is pretty good, but my membership ran out, and besides, going to Costco I spend way to much and I don’t have enough room for all the goods I buy. 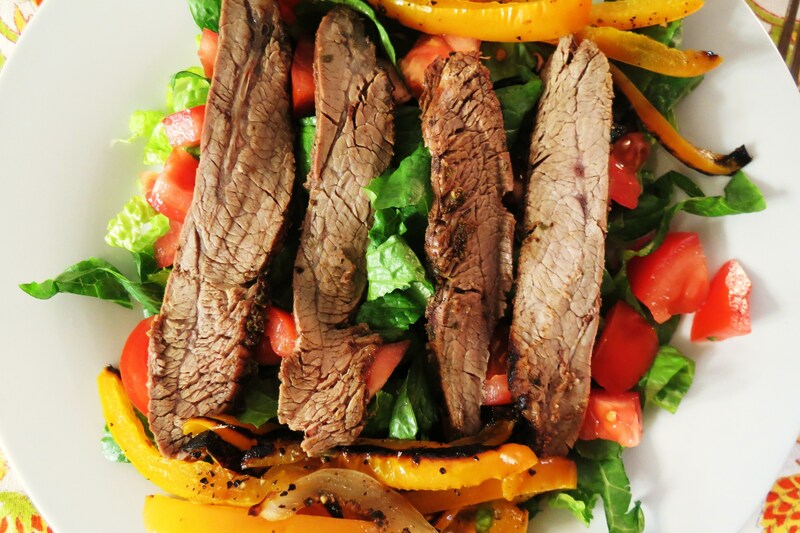 If your curious to whats on my salad, it’s made with romaine lettuce, tomatoes, flank steak, grilled onions and peppers and topped with Jalapeno Dressing. The dressing is my favorite! I stocked up on jalapenos so I can make it again this week. One thing you should know, after about 2 days the dressing becomes really spicy!! I had leftovers about 2 or 3 days after my first batch and wow, was it spicy, but oh so good!!! I guess the flavors really came together!! 🙂 You know me, I like it hot!!! Combine all the ingredients in a small bowl except for the olive oil and steak; Whisk together until sugar is dissolved and than gradually whisk in the the olive oil. 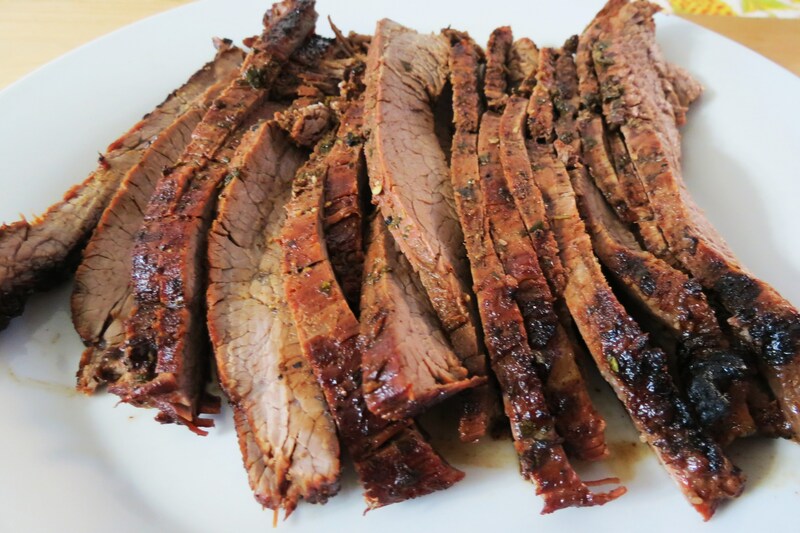 Place flank steak in a ziplock bag with marinade. Place in the refrigerator and it to marinate, turning occasionally, for at least 1 hour and up to 12. 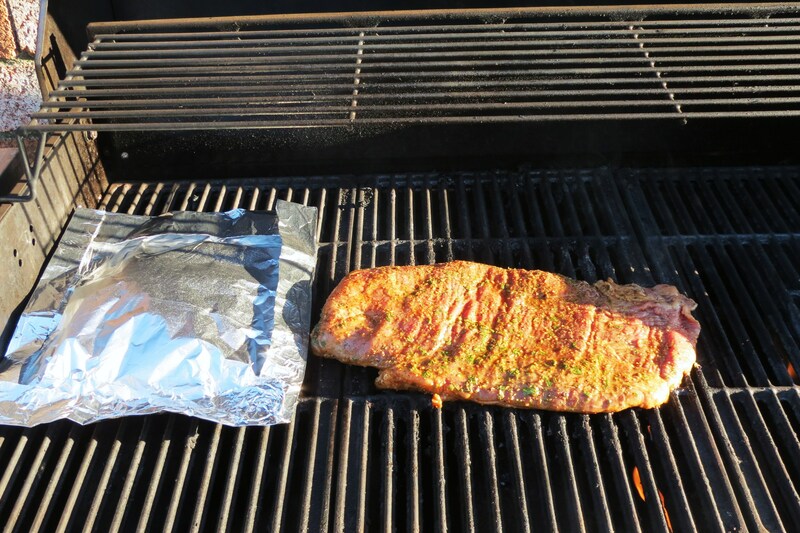 Remove steak from marinade, and pat dry with a paper towel and place on grill. Grill steak 6 to 10 minutes, turning once. 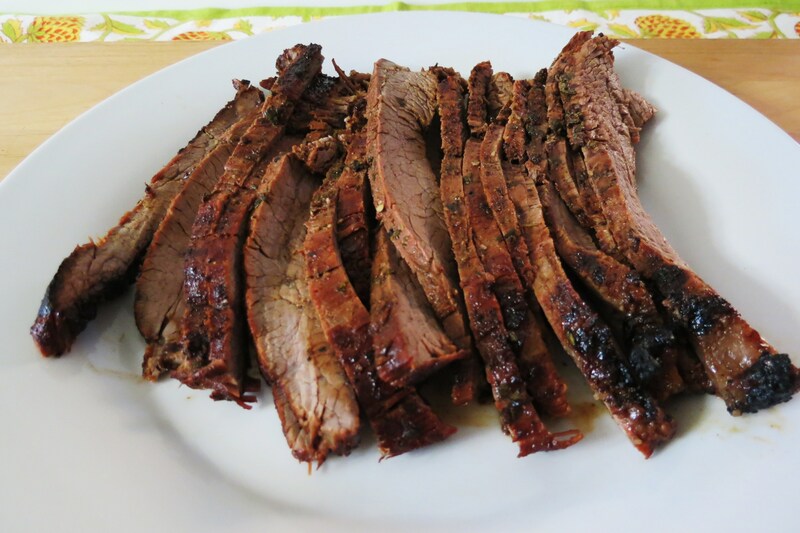 Flank Steak is best cooked medium rare to medium (between 130 and 140 degrees with an instant read thermometer). Transfer steak to platter and cover loosely with foil. Allow meat to rest for 5 minutes. Thinly slice across the grain and serve. I am currently writing this post on Sunday night, since I won’t be around on Monday and I am getting tired at looking at my computer and just sitting. I have been on the computer all day trying to catch up on some blog work! I wish I could just talk and the computer would just type it for me, how nice would that be? With all that said, I’m going to say good night! This is some super good eating! Wow, I love every bit of it and will get some flank steak today as I’m going to Trader Jo’s later this afternoon! Thanks for the grilled veggie tip too – they look wonderful as well! Thanks Chris! I was really impressed with there Flanks Steak! 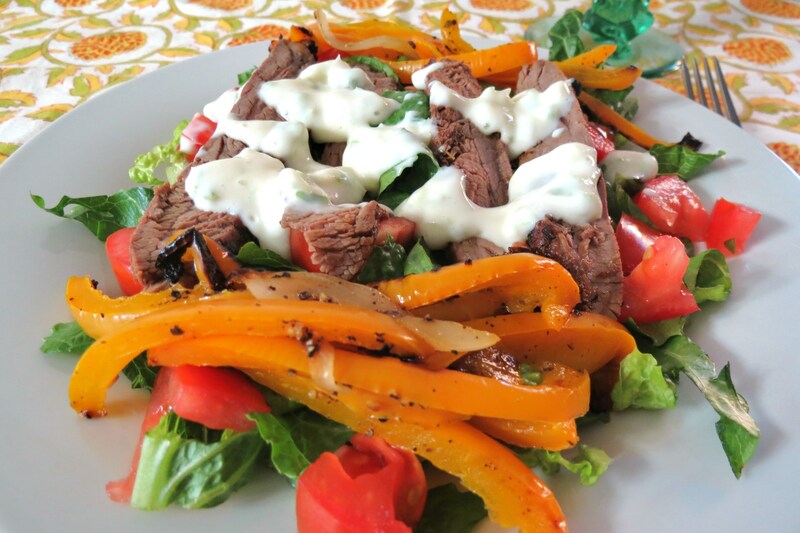 i love steak over salad meals, you get the best of both worlds!! 🙂 I just like my steak more on the medium rare side! I normally like my steak more medium, so I may have over cooked a pinch, but it still turned out tasty!!! wow, my mouth is watering over here!! this looks fabulous! Thanks Mary, I’ll have to look into it.